Shakeology meal replacement shakes are often promoted as an effective approach for weight loss and, in many ways, that idea is entirely true. In general, meal replacement shakes can provide an efficient way to reduce calorie intake without starving yourself in the process. For that matter, people often choose this idea when they struggle with dieting and often find that it feels less restrictive overall. But, Shakeology is just one option and there are countless others out there. Some people look for other brands because of Shakeology's cost. Others are more interested in nutrient composition, including protein content. So, what are some of the Shakeology alternatives and how do they stack up? Want just the facts? Skip straight to the comparison table! To look at Shakeology alternatives, we first have to consider the idea of meal replacement shakes in general. For the most part, meal replacement shakes follow similar patterns. Basically, they’re a type of protein powder that you are supposed to mix with water or milk. In many cases, you might also add in other ingredients too, such as berries, honey or yogurt. There are also ready-to-drink meal replacement shakes. The key difference here is that the shake is already made up and can be taken on the go, similar to what Premier Protein offers. As the name suggests, meal replacement shakes are supposed to be used instead of a meal. So, if you’re trying to lose weight, you may have one or two of these shakes per day instead of your regular food. The shakes also tend to contain a significant amount of protein and a range of different nutrients. The protein helps to make you feel full, as do some other components, like fiber. The other nutrients are supposed to supplement health overall and balance out what you lost by skipping meals. Perspectives of meal replacement shakes vary considerably. Many people feel that the entire process is a waste of time and money. After all, the shakes do often contain artificial ingredients and they are processed. For those reasons alone, a shake is never going to be as good for you as actual meals. At the same time, liquid calories do tend to be less filling than food you eat – even if you’re drinking a shake that’s high in protein. Realistically, you do get better health benefits from a healthy diet that promotes weight loss. But, that idea doesn’t work for everyone all of the time. Instead, meal replacement shakes can be a good way to break some of the mental blocks that surround dieting. The process can also feel less challenging and this alone helps promote weight loss. There are also many success stories of people who have lost a significant amount of weight by using shakes. These patterns suggest that meal replacement shakes really can be a good fit for some people and situations. The idea isn't just relevant to weight loss either. Shakes are also popular because of their convenience. After all, they are fast to prepare and to drink. That's much simpler than having to create an entire meal and then sit down to eat it. So, how do you find a good brand? There are a few key things to consider. One obvious area to start is the cost, especially as Shakeology’s base price is $129.95 for a 30-serving container. This makes it a little over $4.30 per serving. For weight loss, the levels of protein and fiber is important, as these directly impact how filling the shake is. Likewise, you may also be interested in the calories, fat and sugar content, along with areas such as the flavors available. You can see a comparison of the key brands in the table below. All of these are expanded on further in the article. I have also written two Shakeology alternatives comparisons previously, one that considered IdealShape vs Shakeology and the other that looked at Shakeology vs Isagenix. Those posts are both more detailed comparisons and may be useful if you are trying to make a choice between two brands. But, if you don't have a specific brand in mind, this current post is perfect. With these alternatives, any nutritional information provided is based off one flavor (chocolate, whenever possible) and the data the company provides. Individual flavors may differ in their precise nutritional composition but the general patterns tend to be fairly similar. Likewise, the price per serving is based off information from the company. Often, there will be cheaper ways to get the product, such as buying in bulk, becoming a preferred member or shopping on Amazon. However, the basic price is still useful as a way to compare brands. To look at the various Shakeology competitors, first we have to consider the basic information for Shakeology. Currently, the company has 7 different shakes. Five of these are targeted at the general population, while another two are for vegans. It’s also worth noting that none of them are gluten free. As meal replacement shakes go, Shakeology isn’t horrible. You get 17 grams of protein per serving, along with 6 grams of fiber. This is a fairly good balance and would help to make sure people feel full. It does have a significant amount of sugar (6 grams per serving), which isn’t the best. Still, most shakes will either have sugar or artificial sweetener, so the addition of sugar isn’t a deal breaker. There is also a range of nutrients present, including various antioxidants. This is appealing, although it is hard to know how much benefit they actually offer. Perhaps the biggest issue with this brand is pricing. At around $4.33 per serving, Shakeology shakes aren’t cheap, especially for people that might be drinking one or two per day. Unlike Shakeology, IdealShape doesn’t just focus on shakes. Instead, they have a range of products related to weight loss, including protein bars. There are more flavors than Shakeology, including some unusual ones. Likewise, the shakes work out considerably cheaper. They are also gluten free, although they aren’t vegan. But, as Shakeology alternatives go, IdealShape isn’t amazing. In particular, the brand tends to have considerably less protein (just 11 grams per serving), although the fiber levels are fairly similar. Now, the company does boast a unique hunger blocker (slendesta) but there is little evidence that this actually helps with hunger. Indeed, the company’s marketing suggests that the shakes only keep you full for 3 hours. So, the shakes may be cheaper than what Shakeology offers but they aren’t as great nutritionally. Unlike the previous examples, 310 Nutrition doesn’t have a large range of flavors. Instead, they just offer vanilla, vanilla chai and strawberry, although marketing suggests that chocolate is coming out in the future. However, there are some unusual things about the shakes. For one thing, they contain almost no sugar. Instead, the shakes rely on a natural sweetener, stevia. Now, whether or not this is good is somewhat debatable, as natural sweeteners are still associated with issues, including stevia (1). Additionally, the shakes are also soy free, gluten free and dairy free. This makes them suitable for many more diet types than Shakeology does. Indeed, as Shakeology alternatives, the shakes from 310 Nutrition are certainly versatile. Nutritionally, the shakes have 15 grams of protein. That isn’t as much as Shakeology but it is fairly close. The protein is also entirely plant-based. Now, some research suggests that animal-based protein may be superior in some ways but there are still advantages to plant-based protein as well. As a result, the products may make more sense for people with a strong emphasis on whole foods. They also contain probiotics, which may offer additional benefits, along with various ‘superfoods’. Nutritionally, the shakes fare well, with more protein than any Shakeology alternative mentioned so far and more than Shakeology shakes themselves. Additionally, the large number of different fruits, vegetables and nutrients included is extremely appealing. The price per serving is also lower than most of the other options and is considerably less than Shakeology. Vega One is another vegan shake brand and has many similarities to Garden of Life. However, the price here is more expensive than most other Shakeology alternatives, although the shakes are still cheaper than what Shakeology offers. Vega does also produce a starter pack that contains a small amount of each shake. This could be a good way to figure out which flavor was most appealing. As with Garden of Life, various plants and vegetables are also added to the mix, which may promote more health benefits overall. Once again, there is also a reliance on stevia as a sweetener. Nutritionally, the shakes are fairly high in protein and fiber. This should make them satisfying overall. The use of plant-based protein may also be appealing to many audiences. Vega One is an appealing choice nutritionally, although it is relatively expensive. Labrada is promoted as a high-protein meal replacement shake and with 35 grams of protein, it lives up to that claim. This focus does mean that the calorie level per shake is considerably higher as well. The powder is also fairly reasonable in terms of fat and sugar content, meaning it could still be a good choice. For that matter, the macronutrient combination would make this shake particularly satisfying. So, it would keep you full for longer than most of the other shakes on the list. There is one more thing to mention. Most powders have a serving size of around 30 g to 40 g. In this case, the serving size is 70 g, which is considerably higher. Because of this, you could get similar protein levels by simply taking a product like Garden of Life and using two scoops instead of one. Labrada is powerful for its price and nutrition - although the serving size is roughly double that of most other brands. The price for Nature's Bounty is appealing and it also includes collagen and probiotics. These areas may offer some extra benefits that are not seen in other shake brands. Beyond this, the shake is also very low in sugar and in calories, while still offering 15 grams of protein. Nutritionally then, it is a relatively decent option. However, the sources of protein are unusual, as the brand uses both plant-based and animal-based sources. That limits the audience considerably. Additionally, the powder does contain soy, which may be a reason not to use it. Isagenix is another brand on the high end of the spectrum, costing more than most other brands (except Shakeology). The product does offer some advantages though - particularly the 24 grams of protein per serving. There are also both vegan and dairy versions of the shakes, which differ in their nutritional composition (the data above is for the dairy option). But, despite the protein, these shakes are also fairly high in sugar - significantly higher than the other brands on this list. If you're trying to lose weight, excess sugar isn't a good choice. The biggest selling point of 18 Shake would probably be the low calories per serving. Plus, the product still offers 15 grams of protein, which is similar to some of the other brands. It is also very low in sugar, which makes it relevant for low-carb or keto dieters. Once again though, this is a fairly expensive product. The price could be an issue if you plan to drink a shake once or twice a day. Another consideration is that the brand does contain stevia. This is needed for sweetness due to the low sugar content. Still, some people may not want stevia. There are also just two flavors with this brand, so there isn't much choice available. However, the low calorie level isn't necessarily a good thing. This means that the shake is less likely to be filling and you may get hungry faster. The challenge with Shakeology alternatives is that there are simply so many of them. For that matter, this list barely scratches the surface and there are countless other options avaliable. In particular, most weight loss programs and companies produce their own versions of meal replacement shakes. The same is true for many health companies. For example, Herbalife has similar shakes, as does the company Take Shape for Life. Additionally, there are many other similar products that you’ll see on grocery store shelves, often for a lower price. Figuring out the best option is no easy feat. More than anything, it comes down to determining precisely what you’re looking for. For example, some people may be specifically looking for gluten free or vegan shakes, which decreases their options. Some may want as little sugar as possible, while others might focus on avoiding artificial sweeteners instead. Likewise, if you want a shake for weight loss, then you’re going to want something high in protein and relatively low in calories. It's also worth thinking about your weight loss and diet overall. For example, the site Body and Soul talks about the strengths and limitations of protein shakes for weight loss. The site True Protein also highlights how you can lose weight with the shakes. If I had to just pick one option for a Shakeology alternative, I wouldn’t go with a meal replacement shake at all. Instead, my emphasis would be on a protein shake. Protein shakes are very similar to meal replacement shakes. The key difference is that these don’t provide you with extra nutrients. As a result, they typically contain fewer ingredients overall and offer more protein per serving. The site Days to Fitness highlights some other differences. These patterns make protein shakes useful if you don't need extra nutrients or if you are primarily focused on protein. Many of the brands are also good value for money. So, they're worth considering. One specific example of this is the brand Optimal Nutrition, which produces a powerful example of whey protein powder. This is an incredibly popular protein powder choice. It has fewer ingredients than the other brands, as the focus is just on protein, not on providing a wide range of nutrients. You're also getting 24 grams of protein for a 30.4 gram serving. If you equal out the serving sizes, this is more than any of the previous brands. The powder is also extremely popular and it is relevant for many situations, including weight loss and body building. As a result, it truly can work well as an alternative to Shakeology and is certainly much less expensive. This brand offers a similar level of protein to the previous example, although it is higher in fat, sugars and calories. In part, that's because the ProMix product is chocolate flavored, so some ingredients are added to make it taste good. The brand also includes non-GMO sunflower lecithin. This is a fairly unusual addition to protein powder but it helps with mixability. As such, it's easy to make good tasting shakes with this particular product. For people who want something healthier still, there is also an unflavored version from the same brand. That one has a lower sugar content. And honestly, the lack of flavor doesn't matter if you plan to add in other ingredients. This is a plant-based product, one that also offers fermented ingredients and an enzyme blend. This gives the potential for additional benefits. While the protein content isn't as high as the previous two whey powders, this product from PlantFusion is a good alternative for anyone who wants something vegan. The product is also appealing in other ways, such as being gluten-free and soy free, while also containing relatively few ingredients. Shakeology may have some advantages - but it isn't all that impressive at the end of the day. Instead, there are multiple other brands that offer the same nutrition profile or even a better one. Many of these alternatives are also less expensive, which is better in the long-term. As for which options are best, that heavily depends on what you're looking for. For example, you might specifically want something low in carbs or a product that doesn't use sweeteners. However, if you specifically want a meal replacement shake, then the best choice out of these Shakeology alternatives would be Garden of Life. 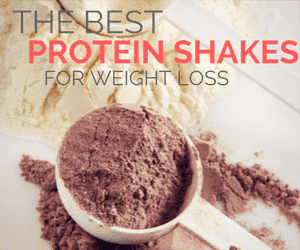 This shake has the best balance of price and nutrients, especially when it comes to protein. The main downside is the flavor selection but if you’re adding additional ingredients when you make the shake, this may not matter. What's your favorite option for meal replacement? Is it one of these brands?